Sony’s Xperia models have always been synonymous with top-end smartphones and slightly unaffordable for a segment of people. Due to this, Sony has now decided to launch an affordable model, the Xperia M. (In fact, the M may actually stand for Mid-Range!) It is available in both single and dual sim versions at the reasonable price of 13000 INR. Sony Xperia M is a handy device having dimensions of 124 x 62 x 9.3 mm and weighs 124 g. Although the design is similar to the other Xperia models, it highlights an aluminium power button on the right along with a volume rocker and a camera key. The headphone jack is present at the top and the bottom part is left empty without any elements. From the back, one gets a soft rubberized feel containing a primary camera and speaker mesh. It is available in black, white, yellow and purple colors. Sony Xperia M boasts of a 4 inch touchscreen having a resolution of 854 x 480 pixels, resulting in a pixel density of 245 ppi. This device runs on a dual core Qualcomm Snapdragon S4 plus processor at 1.2 GHz. It is also backed with a 1 GB RAM which is responsible for the smooth performance in running apps or multitasking. It has a memory of 4 GB which seems like a disappointment, but fortunately, it is expandable to up to 32 GB using a microSD card. It also contains a removable battery of 1700mAh which is equipped with the STAMINA mode for increased and optimized battery usage. In connectivity purposes, the device contains 2G/3G support, Bluetooth 3.0 and its most prominent feature yet – the Near Field Communication (NFC). An NFC trademark forum, the ‘N Mark Antenna’ is present at the back of the phone and is used conveniently to pair Xperia M to other devices such as wireless headsets and even to televisions to share photos, videos and music. This can be done through a single tap, without the cumbersome use of wires and cables. You can now play music on your Xperia M device through NFC speakers simply by tapping the NFC antenna to the speaker and streaming live music. A feature called “Throw”, which is integrated into the device beforehand enables the smartphone to find the best possible way to connect to another device wirelessly. Sony Xperia M now becomes the first middle-range smartphone containing the NFC function – something which was characteristic only to the premium smartphone uptil now. Xperia M comes with the 4.1.2 JellyBean Operating System coupled with Sony’s customizations. The device is equipped with a lot of the Google Apps along with typical Sony Apps such as the Walkman, Sony Liv amongst others. Several third-party applications like Paytm, BigFlix etc. are also available. 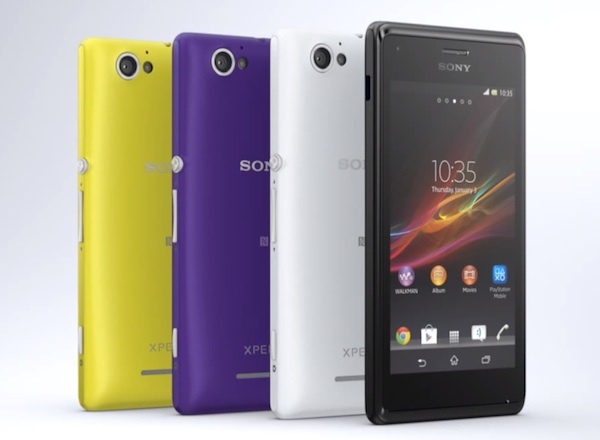 Sony’s Xperia M is equipped with a primary camera having a resolution of 5MP which has autofocus and LED flash. Various features such as image stabilization, HDR image and Panorama. It has the capability of recording videos at 720 pixels resolution. The device also has a 0.3MP Video Graphics Array (VGA) secondary camera which can be used for video chatting. READ: What gadgets do students like the most? That is a lovely review as usual from the man Anandh! How r u man. Thanks for your lovely comment. Keep on reading my blog. The overview of sony xperia mobile is very stunning and it apt for today modern world. keep sharing!!! Thanks for coming and dropping your comment here.